HOLLY RIDGE — Volunteers of all ages and abilities are needed 10 a.m.-2 p.m. July 5 to help plant salt marsh grasses as part of a project to restore salt marsh and oyster habitat at Morris Landing Clean Water Preserve. The North Carolina Coastal Federation is hosting the workday at the preserve, which has more than 3,000 feet of shoreline along Stump Sound and contains coastal shrub scrub, forest habitat, salt marsh and tidal creek areas. Volunteers will be working in wet, dry, sandy and muddy conditions and use tools to install plants along the shoreline during low tide. All project supplies and equipment, refreshments and lunch will be provided by the federation. Organizers recommend that volunteers dress in comfortable clothes that can get dirty, wear boots or closed-toe shoes that cover the entire foot, bring a water bottle, hat and sunglasses and any medication that may be needed while on site. There will be options for different tasks that can accommodate a range of physical abilities. 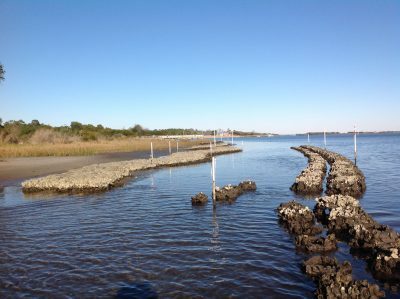 In addition to restoring the salt marsh, the work on Morris Creek will enhance public access and recreation, expand shellfish enhancement activities in the area and protect the waters of Stump Sound in Onslow County, according to the release. 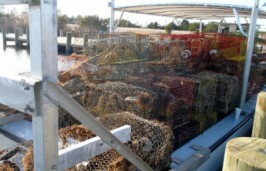 Morris Landing is part of the federation and Division of Marine Fisheries’ plan to restore oysters, enhance shellfish habitat and maintain a sustainable oyster fishery in the waters of Stump Sound and other surrounding waters. For more information, contact Gray at jessicag@nccoast.org or 910-509-2838.